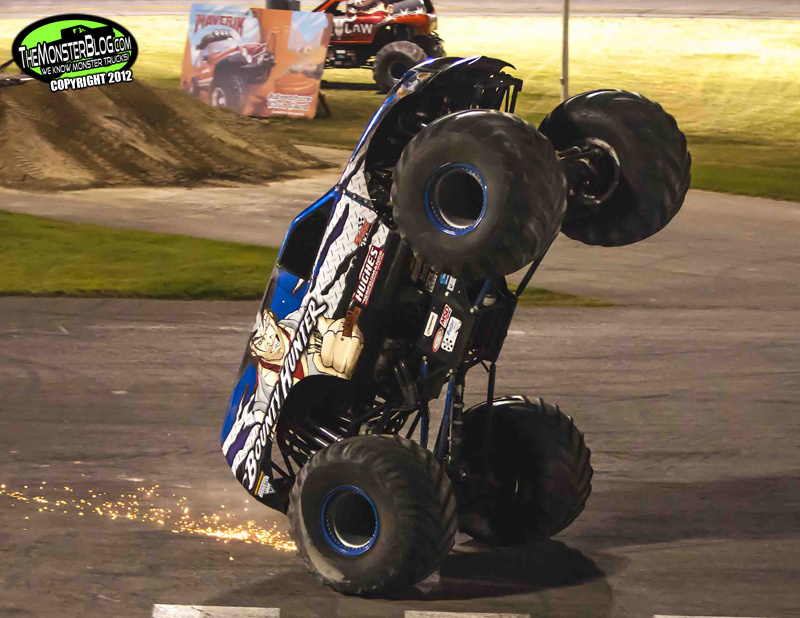 (Mooloolah Queensland – MTPA PR) – Over 30 years ago, a man named Bob Chandler modified his brand new F-250 to promote his 4×4 business. 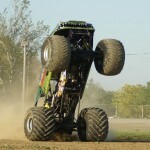 As the parts bills increased, the truck grew bigger and bigger and became the World’s First Monster Truck. 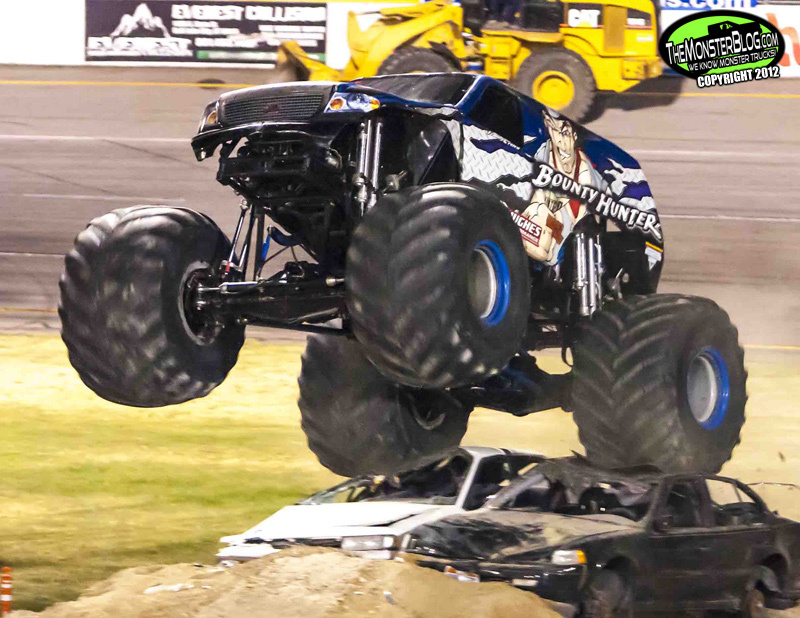 Now, after over 3 decades of thrilling millions of fans around the World, acquiring numerous Guinness World Records, and debuting 20 different BIGFOOT® monster trucks, a brand new BIGFOOT is set to be unleashed in Australia. 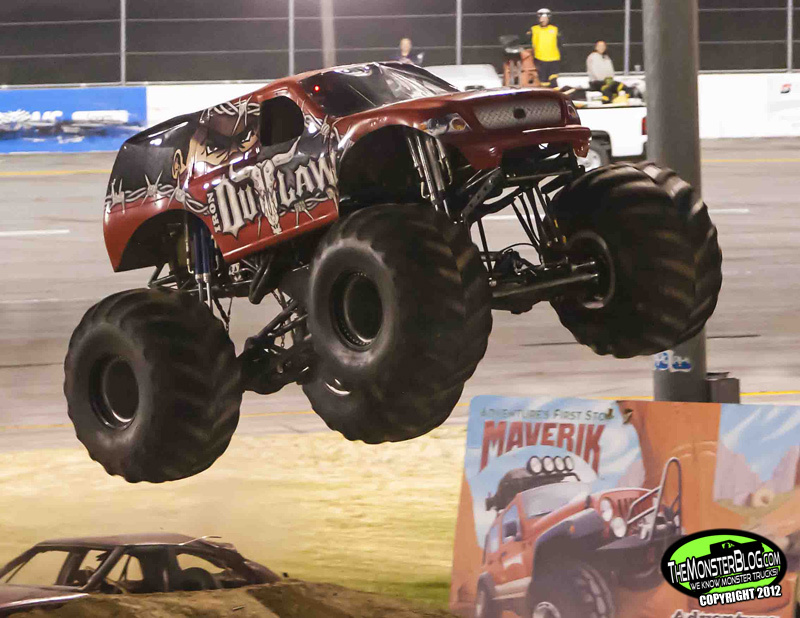 And it is guaranteed to thrill a whole new audience of monster fans around Australia and New Zealand. 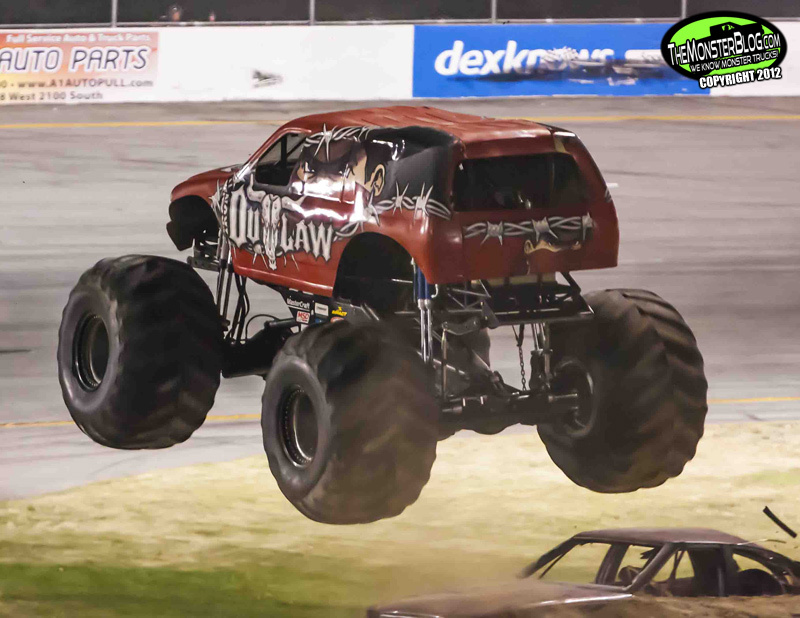 An all new BIGFOOT truck is coming to Australia! 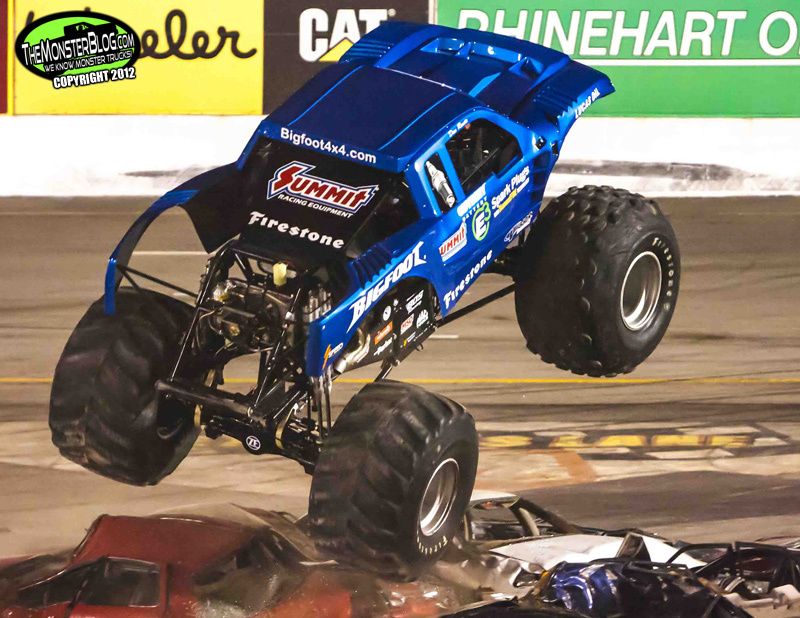 BIGFOOT will make its Debut in March 2013 in Brisbane and will be driven by one of USA’s current superstar drivers. 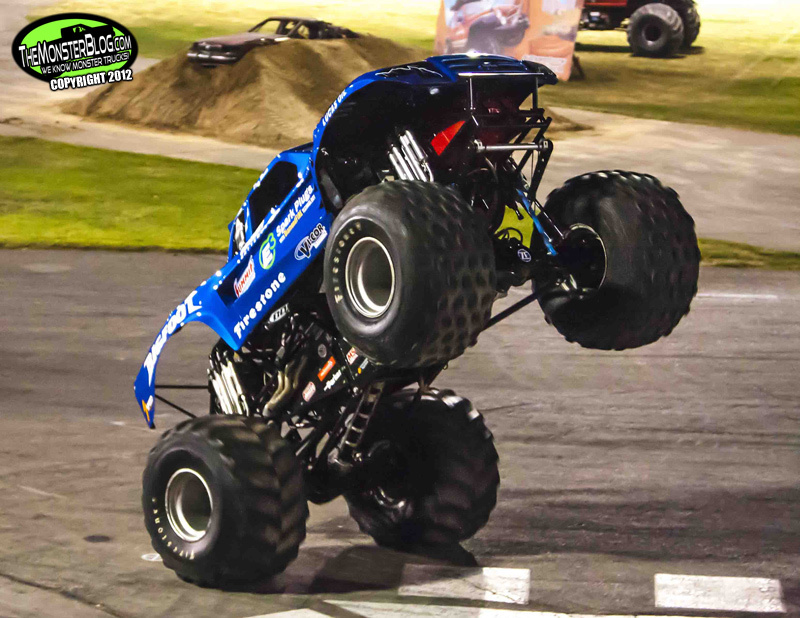 The Australian BIGFOOT will sport the new style BIGFOOT off-road body, as seen on Bigfoot #18, in a custom new colour scheme, making this one of the best looking monsters ever seen. 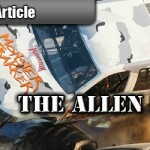 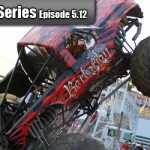 For all the latest info head to www.monstertruckspromotionsaustralia.com. 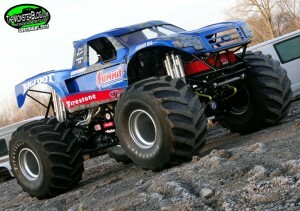 For more info on Team BIGFOOT, check out www.Bigfoot4x4.com. 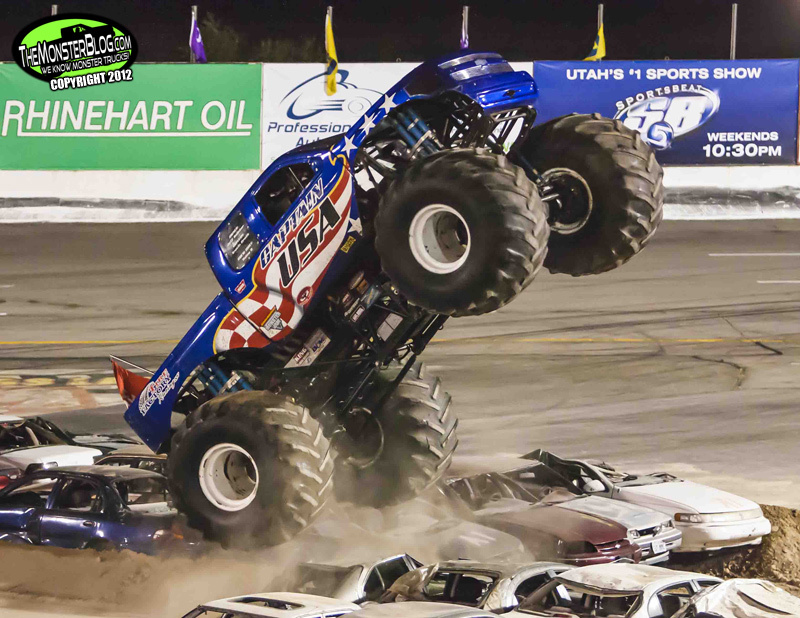 Description: The Maverik Clash of the Titans at Rocky Mountain Raceways in West Valley City, Utah absolutely never disappoints. 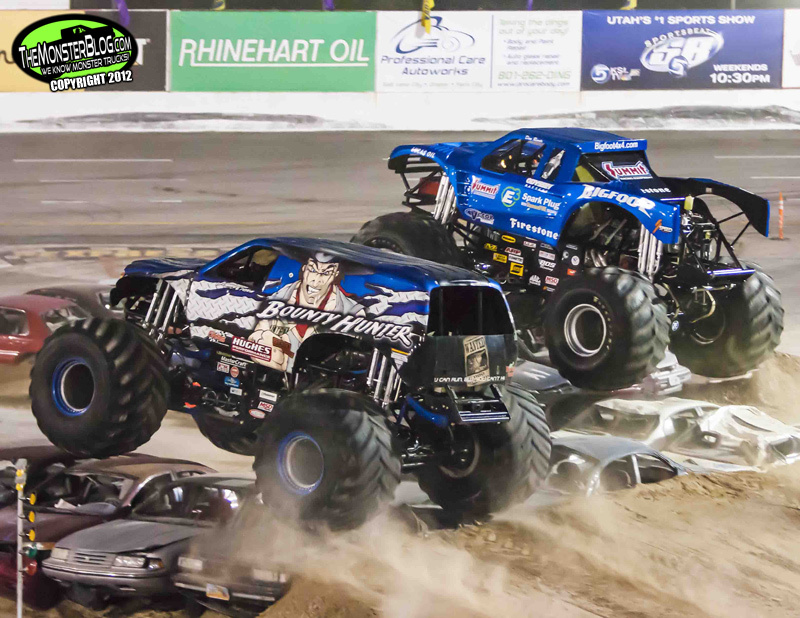 Check out this incredible final round battle between two heavyweights of the sport, Dan Runte and Jimmy Creten! 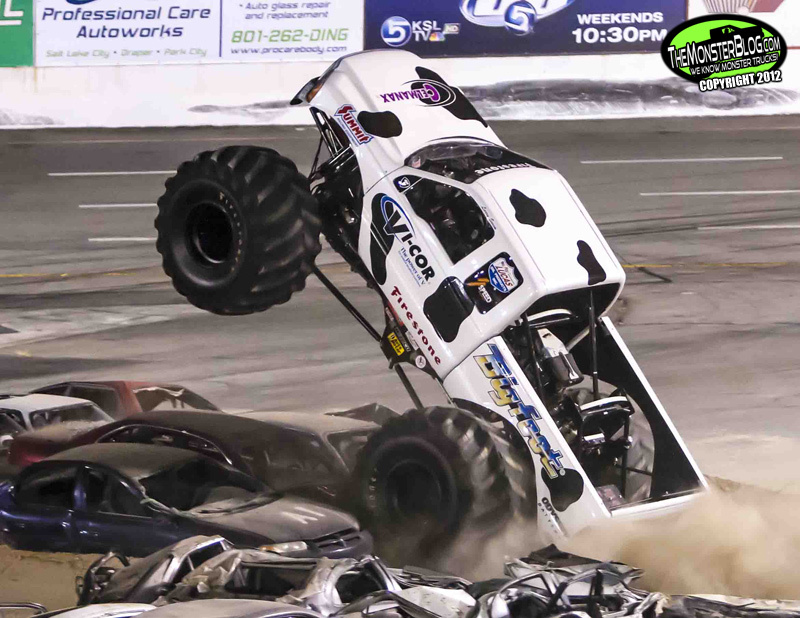 (Charlotte, NC – SPEED Energy PR) – What is another form of racing that Robby Gordon can mark off his impressive list of racing series? 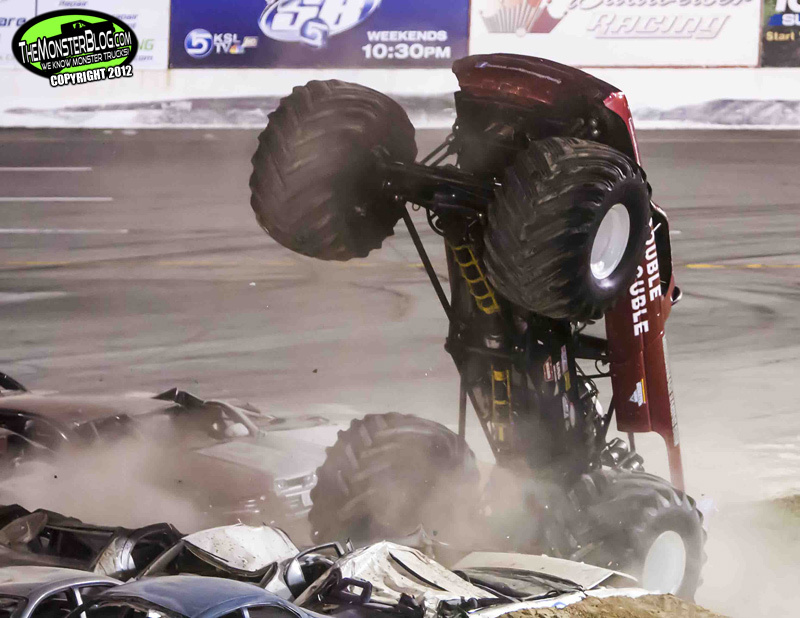 If you guessed monster trucks, you guessed correctly. 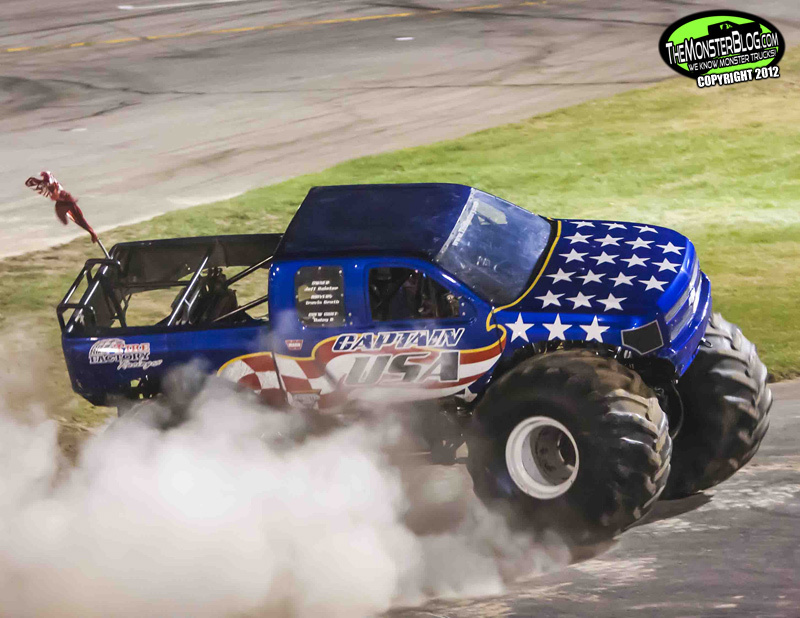 Robby Gordon Motorsports and SPEED Energy have formed a partnership with BIGFOOT 4×4, Inc., owner of the most well -known monster truck in the United States. 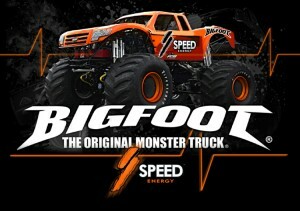 Artist rendering of the new SPEED Energy Bigfoot #19. 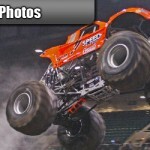 Gordon’s energy drink company, SPEED Energy, will be the co-primary sponsor of the monster truck. 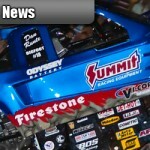 “This partnership with BIGFOOT 4×4, Inc. is a big step for our company. 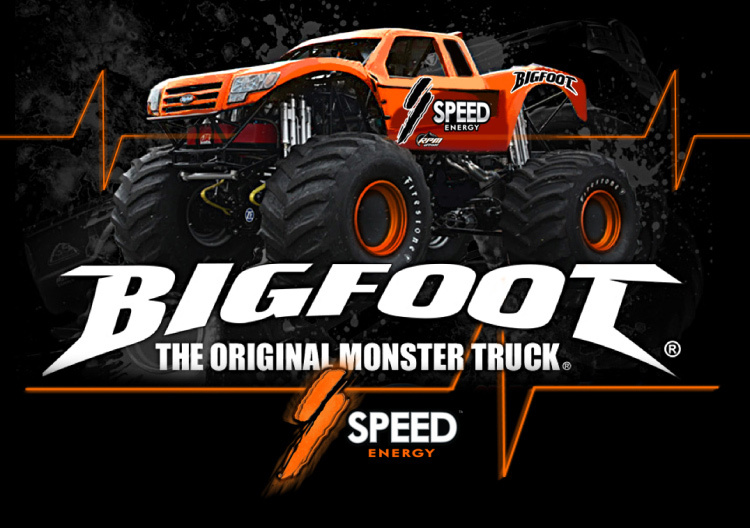 It opens the door to market SPEED Energy to a new demographic.” Being featured as a sponsor on the truck is just one element to the relationship, we will also be selling SPEED Energy/BIGFOOT #19 diecasts, t-shirts, hats and other merchandise,” says Gordon. 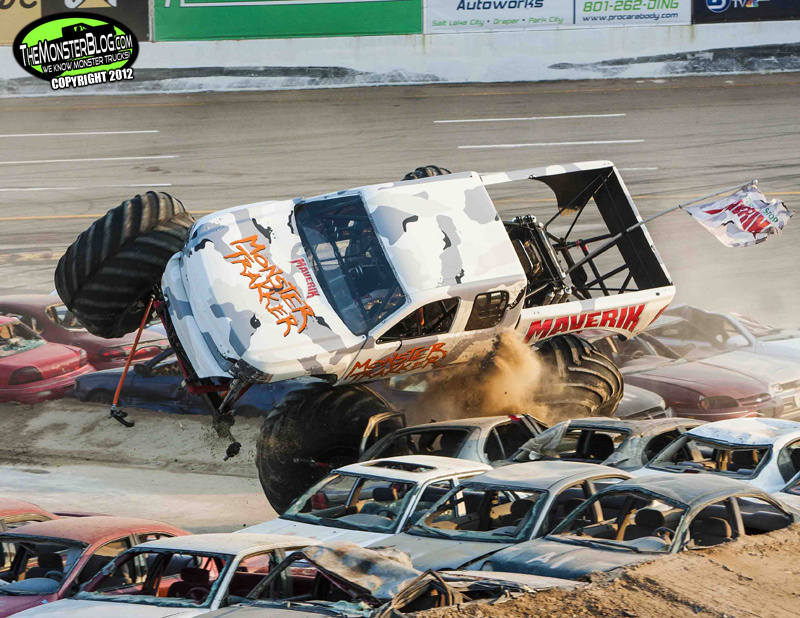 During the first year of the agreement the monster truck will be used primarily for display purposes. 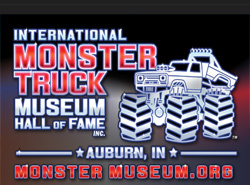 From there the truck will participate in events, with the possibility of Gordon being behind the wheel. 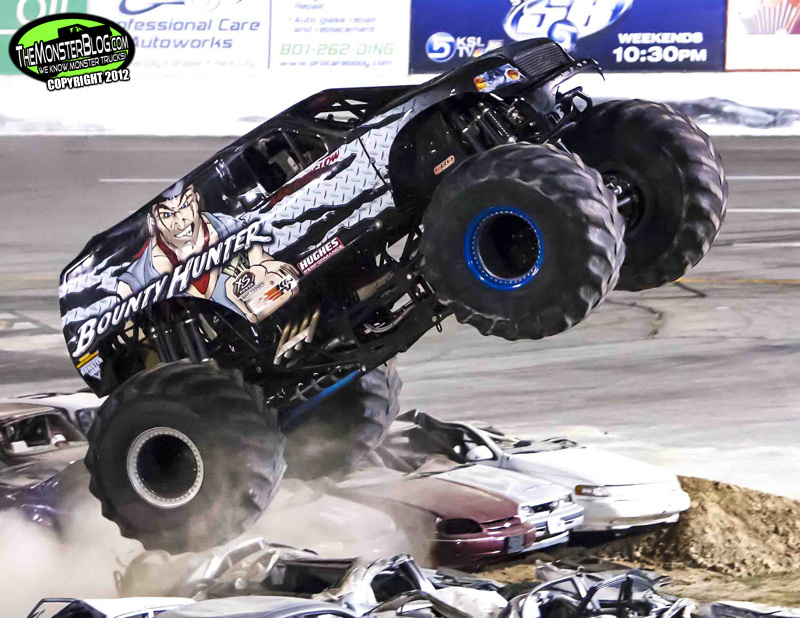 “I’m excited about the opportunity to drive the SPEED Energy/BIGFOOT #19 monster truck. 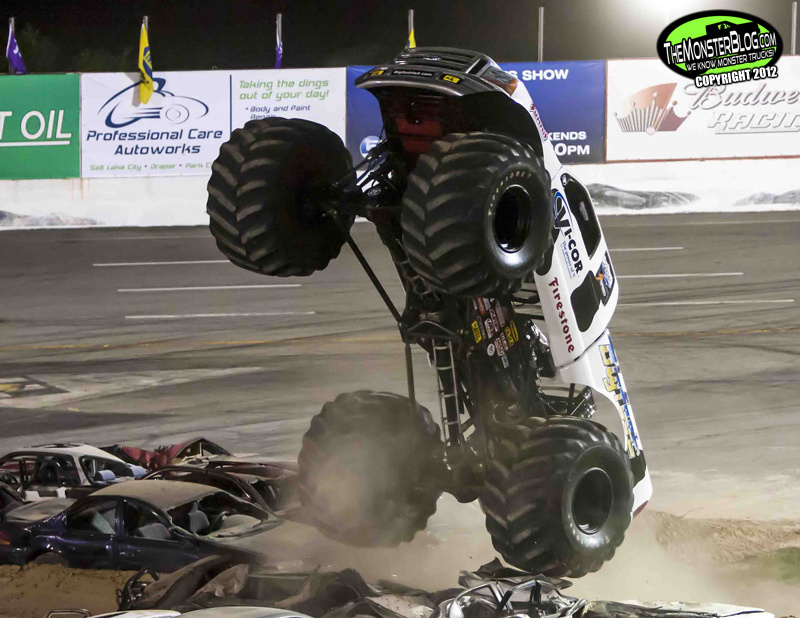 We built the truck a few years ago and we’ve played around with it, but actually competing in events would be a lot of fun,” Gordon remarks. 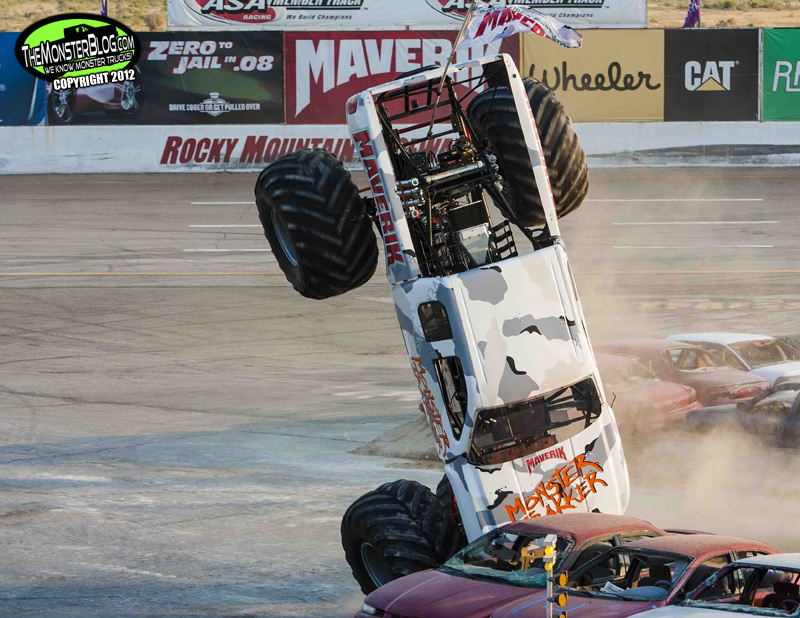 SPEED Energy is available in four flavors: Ethanol, Unleaded, Fuel and Octane, which provide the human machine with the fuel it needs to keep up with the SPEED of life. 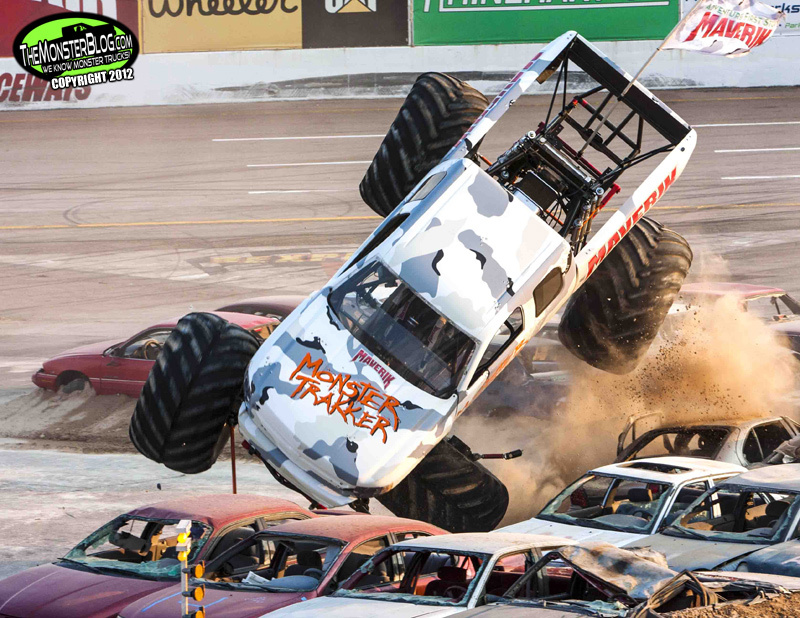 Each drink contains a potent blend of B-vitamins, caffeine, taurine and ginseng. 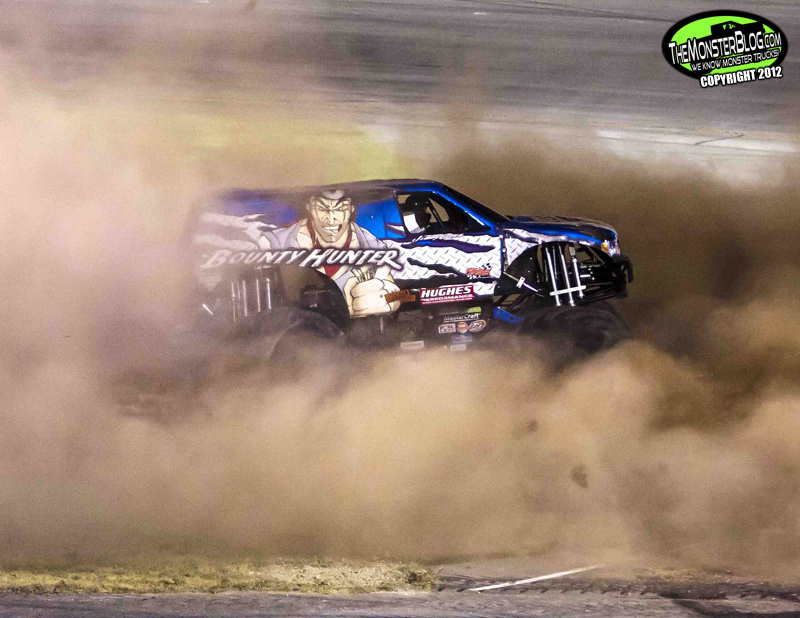 SPEED, packaged in 16 ounce cans, is available in singles, 4 packs, and cases. 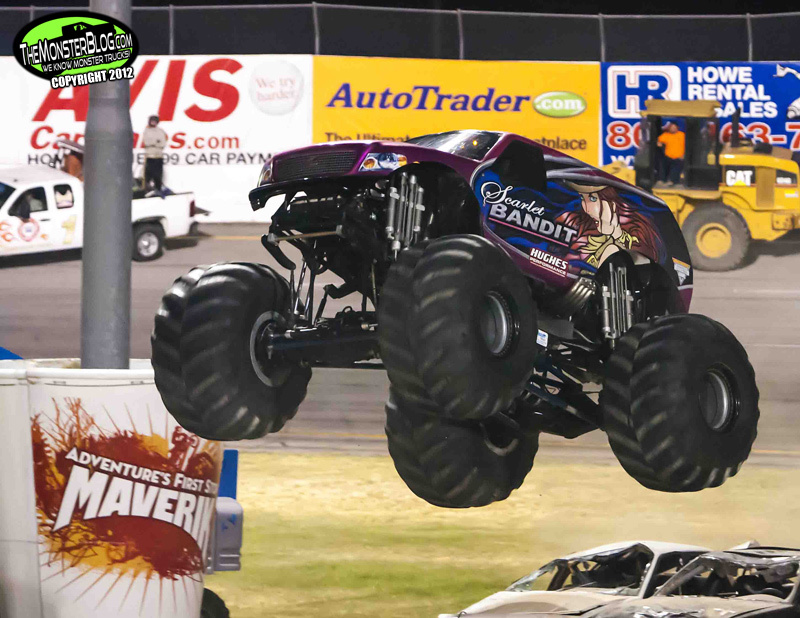 SPEED Energy is available at major retailers, convenience stores, grocery stores, bars and nightclubs. 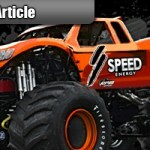 For a retailer near you, please visit www.speedenergy.com. 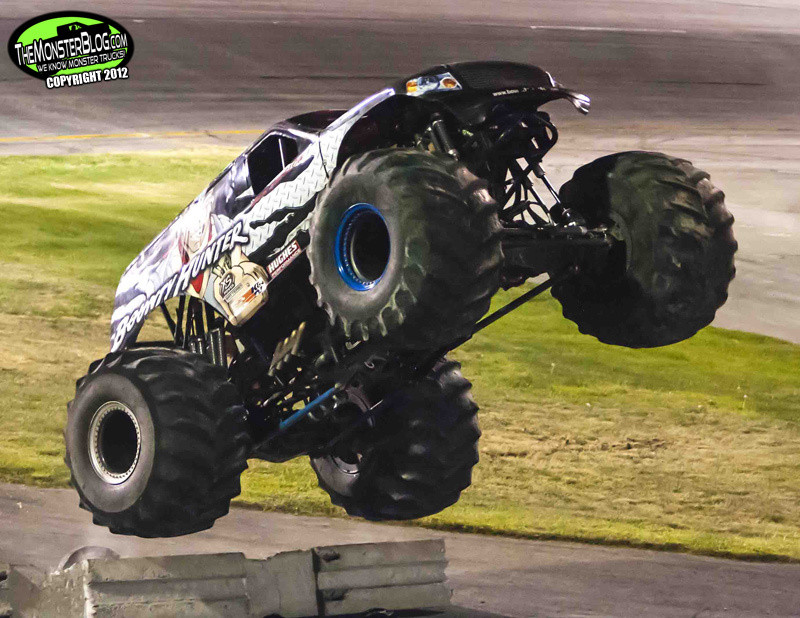 Since its inception in 1975, BIGFOOT, The Original Monster Truck®, has gone on to achieve worldwide notoriety, and spawned an entire family of BIGFOOT® monster trucks that have pioneered the growth of the monster truck industry. 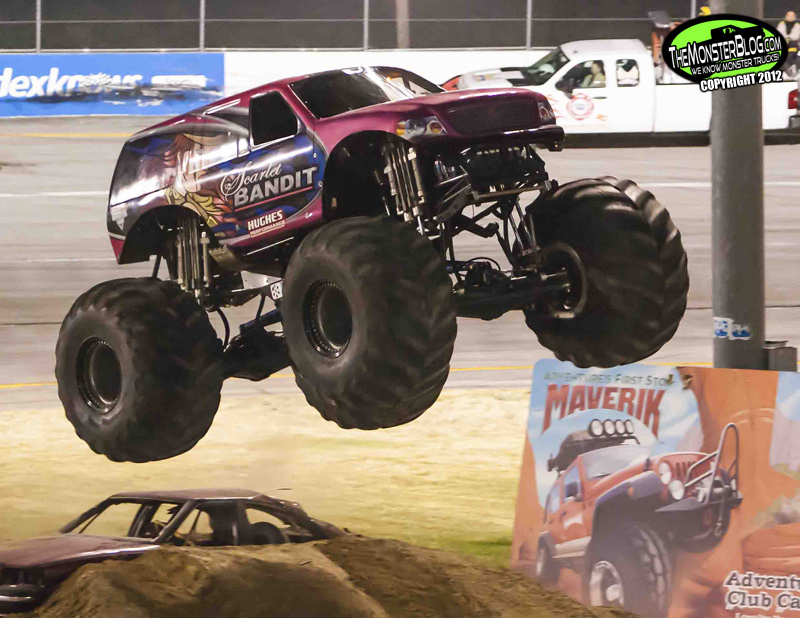 Created by St. Louis-area contractor Bob Chandler and his wife Marilyn in 1975 as a promotional tool for their Midwest Four Wheel Drive business, the BIGFOOT fleet has captured 30 National Championships, set numerous world records, and travelled to over 26 countries. 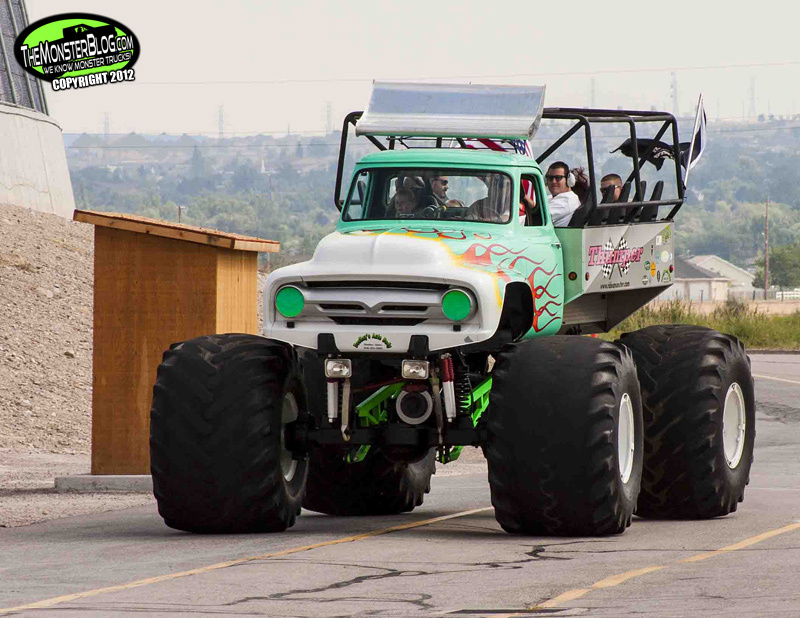 In 2009, BIGFOOT was named one of the “Top 5 Marketing Vehicles of All Time”. 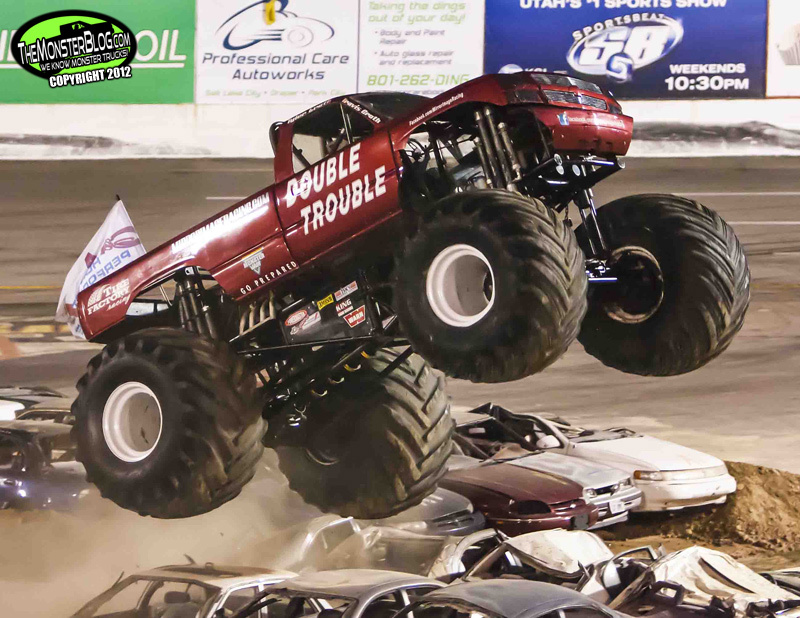 Since 1975 over 20 BIGFOOT vehicles have been constructed, and today the team campaigns eight (soon to be nine) BIGFOOT monster trucks full-time in North America, in addition to one BIGFOOT truck based full-time in England. 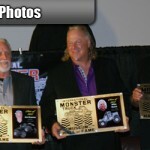 The team expects to average over 900 appearance days starting in 2012, and will achieve in excess of 30 million impressions each year. 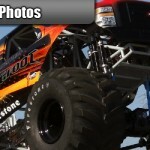 Visit the team online at www.bigfoot4x4.com.